With its massive construction the YUS3 offers a powerful and unparalleled sound, that convinces even the most critical pianists. 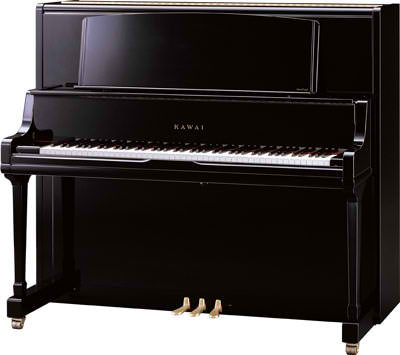 Yamaha U-Series upright pianos have long been a leading choice for educational institutions, professional musicians and discriminating home pianists. 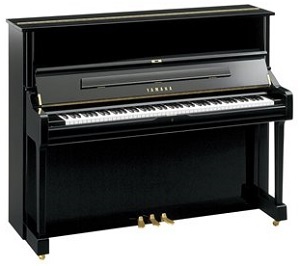 With YUS Series Yamaha takes quality and performance of professional upright piano series to a new level. The very finest materials combined for a solid piano that delivers inspiringly rich sound and delicate balance. The simplicity of the cabinet with newly designed soft closing fallboard gives superb acoustic performance right down to the subtlest note, finest strings and specially designed hammers provide rich tone and response. Add a simple, yet meticulously crafted, design, and the result is a piano with a personality that enhances the performance of the pianist. Also available as Silent Piano YUS3 SI.